We have rich experience in advising banks, NBFCs and borrowers in concluding transactions involving term lending, consortium working capital lending, pre-shipment and post-shipment facilities, among others. We regularly advise domestic and cross border financing transactions in the real estate, aviation, education and shipping sectors in India, China, Singapore and Africa. We have acted as the Indian Counsel in international transactions advising on the structuring, validity and enforceability from an Indian law perspective. We have represented lenders in large infrastructure projects in sectors like power, road, metro-rail, telecom and oil. We recognise that each project has its own identity and with it, come peculiar of challenges which require expert evaluation and addressal of unique concerns. In the domestic real estate space, we advise redevelopment projects, slum schemes, joint development projects and government backed projects. Similarly, in the education space where the sector largely thrives on the land owning trusts supported by independent service management companies, adequately securing the loans and advances requires a multi-pronged approach towards creation of security and detailed analysis and discussions for the risks carried inherently in such a sector. We have been involved in corporate debt restructuring and revival/rehabilitation of sick companies in India. 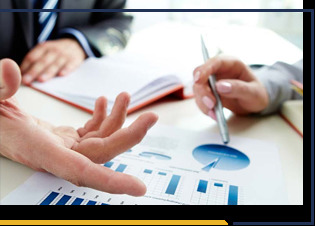 Our diligent understanding of the factors that require protection of the interests of the lenders while providing the necessary flexibility and impetus for the revival of the company has helped us effectively advise clients in this practice area. We have fast established ourselves as one of the notable players in the field of litigation and alternate dispute resolution. Our team works with a solution-oriented approach, towards making the process hassle free for our clients and ensures that disputes are resolved efficiently and cost effectively. Our dispute resolution practice extends to real estate, company law, family law, banking and finance, slum rehabilitation schemes, redevelopment projects, security enforcement, suits for specific performance of contracts and testamentary suits. We represent clients at various courts and forums. We appear in the Supreme Court of India, Bombay High Court and before Sub-Divisional Officers, Estate officers, Administrator and Divisional Commissioner and other authorities. We also represent our clients in several commercial arbitrations, both domestic and international. We have a team of dedicated legal professionals who advise and represent clients before the Securities Appellate Tribunal, SEBI, NCLT, NCLAT and other arbitration tribunals including the ones constituted under NSE and BSE Rules and by-laws. Project Finance and Infrastructure is a multi-disciplinary practice area of our firm. We have undertaken both transactional and advisory work in respect of large scale infrastructure and energy-related projects as well as the review and negotiation of underlying project finance documentation in road, metro-rail, power, telecom and the shipping sector. Our team is trained and well-equipped to succeed in this highly specialized niche involving cross-border deals and end-to-end support for complex, structured and often, technical transactions. We advise infrastructure companies in the course of undertaking construction projects. 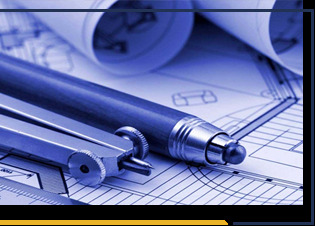 Our expertise extends to financing transactions, execution of Engineering Procurement and Construction Contracts and disputes relating thereto in India and outside. 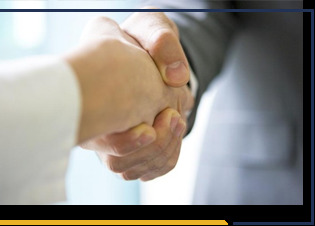 As a full service law firm, we are able to advise all aspects of such transactions and are involved in them at all stages starting from the negotiation of the contract, looking into the financing aspects, attending to issues through its completion and disputes, if any. Our firm’s aviation expertise lies in advising on infrastructure projects and financings in this industry. Our team’s comprehensive grasp of the legal and regulatory issues in this industry has enabled us to provide bespoke advice in recent transactions involving aircraft leasing and management agreements and airport infrastructure projects. Our pool of experienced lawyers with their background in stock exhanges, consistently enable us to assist takeovers of listed entities with large market capitalisation. We advise private equity investment in listed and unlisted entities by residents and non-residents in the primary and secondary market and sale of equity in Indian listed companies to foreign purchasers. For this purpose, we undertake detailed investigation into the affairs of the Company and the consideration of tax and regulatory regime applicable to such business. We help strategize such buyouts or sales and draft the requisite documentation. 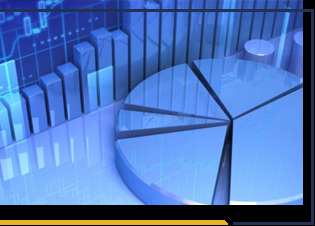 We have been involved in all aspects of these transactions including direct and indirect taxation, vendor diligence, accounting issues, securities laws, foreign exchange laws, competition laws and structuring in relation to the same. We offer unparalleled experience in advising on acquisitions, restructuring, mergers and strategic alliances. Our team’s work in M&A highlights our focus on strategic thinking, excellent legal advice and successful deal execution. The team works closely with our specialists in related areas, including taxation, finance, employment laws and dispute resolution. 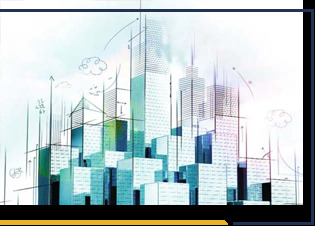 As one of India’s leading law firms in the real estate sector, we are known for our unique approach towards title diligence and review. We have been involved in some of the largest and complex acquisitions in recent times. We have been involved in investigating complex titles for agricultural lands, in-depth investigation of the laws relating to humane rehabilitation, statute of limitations, principles of harmonious interpretation and jurisprudence. Our title investigations include advising acquisition of large parcels of land for cluster development schemes, managing unique issues pertaining to personal laws of people with diverse faiths, amalgamation of leasehold and freehold lands, reservations and set-backs. Our strength in our core practice area of real estate lies in our solution oriented approach- whether it is in highlighting issues on a real time basis which gives clients enough lead time to take decisions or in giving reasoned and practical advice while handling acquisitions and joint ventures. Our expertise in identifying not only title but also development related concerns together with our competency in documentation including corporate documentation allows us to give our clients end-to-end support in this sector. Keeping in mind the ever changing legal landscape with the introduction of RERA, the Insolvency and Bankruptcy Code, 2016 and the GST regime, our team (which includes lawyers also qualified as chartered accountants) provides extensive support and flexibility to our clients in structuring transactions without compromising on the meticulous eye for detail and thoroughness required of conveyancing solicitors. Our team of experts advise on a range of issues pertaining to the primary as well as secondary market with a specific emphasis on IPO related matters, raising of funds through the issue of ADRs, GDRs & FCCBs. We are also involved in cross border transactions including takeovers, registration of intermediaries such as FIIs, Sub-Accounts, AIFs, venture capital funds, mutual funds, AMCs, DPs, stock brokers and debenture trustees. 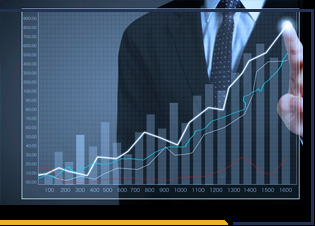 We act as legal advisors to IPOs, rights issues, buy-back offers, delisting offers, open offers, among others. Further, we advise our clients on compliance of SEBI Regulations particularly ICDR Regulations, Takeover Regulations, Mutual Fund Regulations, Stock Broker Regulations, Insider Trading Regulations, FUTP Regulations and Listing Obligations. Our advice sought extends to regulatory and statutory considerations. We provide regulatory advice to the intermediaries registered with SEBI, NBFCs registered with RBI and Insurance Companies/ Insurance Broking Companies registered with IRDA. 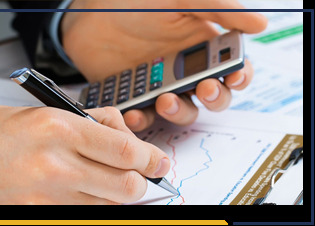 We have a dedicated team that files and manages regulatory compliances of our clients. 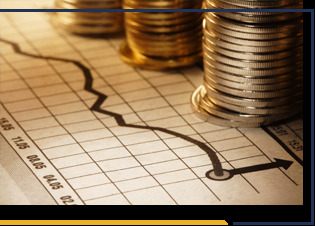 Our team routinely advises on securitization and structured finance. We have been engaged by reputed clients for incorporation and registration of ARCs. Turnkey assignments include name clearance and incorporation of new ARC, drafting of MOA, advising on shareholding pattern, organization structure and business plan of ARC, preparation of Shareholders Agreement, preparing, finalizing and filing the requisite application with RBI for registration and helping the client in sending replies to the RBI queries, if any. We help clients procure FIPB approval for foreign investors in ARCs. We also provide advice on business matters to some of the existing ARCs on a regular basis and undertake legal due diligence of acquisition proposals. We provide the requisite documents required by a newly registered ARC for commencing its business activities. We advise clients with corporate and secretarial compliance suited to meet individual business needs. Our understanding of corporate laws enables us to advise clients on regulatory aspects and compliances, structuring transactions and achieving optimum solutions effectively. We advise restructuring schemes for listed and unlisted companies which includes matters relating to listing of unlisted companies pursuant to such restructuring schemes. Our expertise extends to drafting of the scheme, making filings before courts and advising matters on corporate law in relation thereto. We advise clients on general and specific contract laws and drafting of contracts. Our specific practice areas include hotel management contracts, contracts for leasing of aircrafts, celebrity endorsement contracts and contracts for franchise of sporting events. We assist and advise celebrities in their film and endorsement contracts. The Insolvency and Bankruptcy Code, 2016 has been introduced in India, relatively recently. We actively render advice to several clients across, power, cement, real estate, shipping, manufacturing and transport industries on Insolvency and bankruptcy matters, extensively. We keep ourselves, informed about the ever-evolving law, judgements under it and due process to ensure that our clients remain well advised. We represent clients in the NCLT, NCLAT and the Supreme Court with our competent litigation teams based in Mumbai, Delhi and Bengaluru. We have represented and advised financial creditors, corporate debtors, operational creditors, resolution applicants and suspended board of directors in the course of initiation of and during the insolvency resolution process. We work closely to advise the effect of Insolvency Laws on transactions and assets being acquired from potentially insolvent corporates. We guide and offer recommendations, to loans and investments to decide their course with potentially insolvent corporates which our competent banking team effectively ties in with the insolvency practice. The firm therefore works together with clients, both debtors in default and creditors to identify, to enable them to find the most effective and suitable resolution, provided under the law.